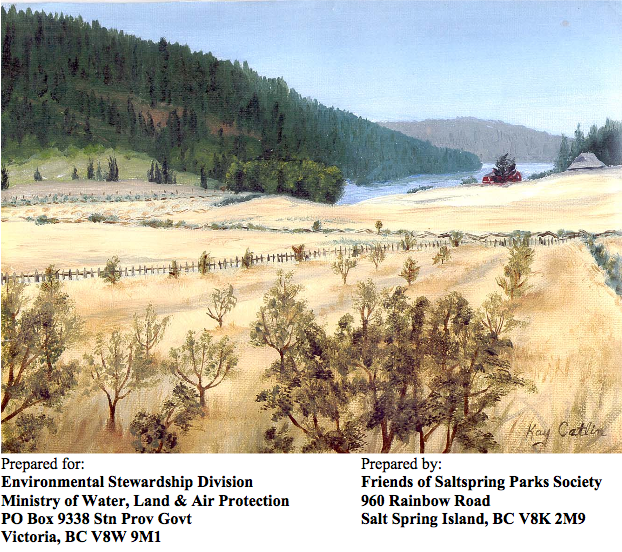 The Burgoyne Bay Protected Area is adjacent to the Mount Maxwell Ecological Reserve, ER# 37 and this report includes information about it. Link to report: 2003 Burgoyne Bay Background Report. Link to colour atlas (22mb) and other information, http://a100.gov.bc.ca/pub/acat/public/viewReport.do?reportId=17739. Abstract Burgoyne Bay Protected Area is located in the Southern Gulf Islands ecosection in the southwest of Salt Spring Island. The report provides an overview of existing information regarding the natural, human heritage and recreational values of Burgoyne Bay and the surrounding area; notes significant natural and cultural features; and identifies key management issues that will need to be addressed in subsequent park management planning processes.